Along with Kaminsky, other Johns Hopkins researchers involved in the study include Jerry Guintivano; Tori Brown; Alison Newcomer, M.Sc. 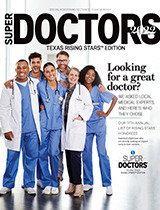 ; Marcus Jones; Olivia Cox; Brion Maher, Ph.D.; William Eaton, Ph.D.; Jennifer Payne, M.D. ; and Holly Wilcox, Ph.D. The research was supported in part by the National Institutes of Health’s National Institute of Mental Health (1R21MH094771-01), the Center for Mental Health Initiatives, The James Wah Award for Mood Disorders, and The Solomon R. and Rebecca D. Baker Foundation.